Microsoft's Windows Home Server operating system is far from completed, even though companies such as HP have already announced products based on the OS. The second beta phase for testing the software has begun, and Microsoft is inviting testers to evaluate the service. 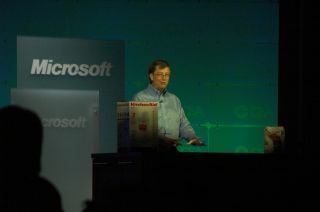 Windows Home Server - announced by Bill Gates at the Consumer Electronics Show in Las Vegas in January - is a home server on which all digital content, including music, photos and video, can be kept and accessed from anywhere. According to Microsoft, the first beta version was tested internally, and by its working partners only, but now the company is inviting external testers to trial the service. Potential testers can apply at Microsoft Connect. Testers need a dedicated server running a Pentium 4 processor, 512MB of RAM, as well as two hard drives, one of which must have at least a 300GB capacity. Besides the server, the tester also needs to have two computers which can act as the clients of the server, as well as a broadband internet connection. More information can be found at Microsoft's development blog for Windows Home Server .